We love and care for your child as a part of our family. Our teachers share your family's commitment to helping your student grow spiritually, intellectually, and emotionally. 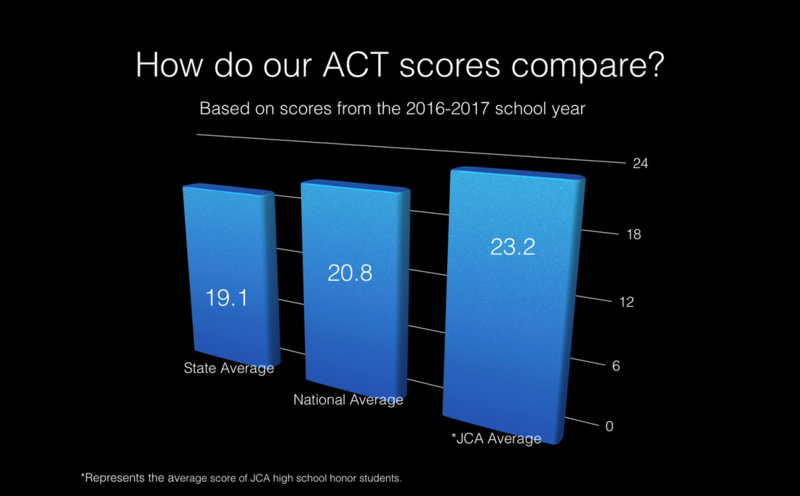 The environment at JCA is designed to help grow leaders that understand their purpose as Christ-like servants who are also productive citizens. Our goal is to prepare our graduates to leave their mark on the world. Many of our graduates have gone on to become preachers, CEO's, nurses, doctors, lawyers, teachers, artists and many other high profile positions. Whether your student follows previous graduates to Harvard, The United States Navel Academy, or any other great university, the education they receive from JCA will prepare them for their journey.